YES Friends and Family Sale at Pro Image Sports! 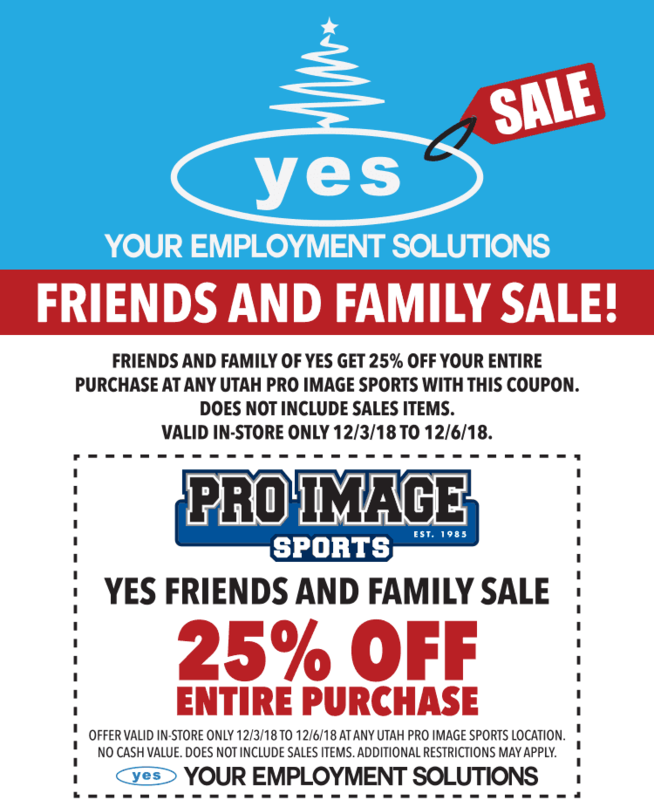 As a thank you to all friends and family of Your Employment Solutions, we arranged with the sports apparel retailer Pro Image Sports to offer a special sale from 12/3 to 12/6 in-store at all Utah locations. See details below.